Year over year, Viasat’s Government Systems business continues to grow at a remarkable rate. The company’s secret to achieving truly differentiated growth in such a complex and challenging defense market environment is no surprise — Viasat listens, acts proactively and empowers warfighter customers with technology-enabled operational capabilities and then continuously evolve these capabilities over time to ensure they keep pace with the rapidly accelerating technology trajectories in the commercial market. Perhaps such sounds simple, but it’s really quite an innovative and entrepreneurial approach to defense contracting that recognizes current defense market trends and builds business strategies that leverage them. For example, one defense acquisition trend is the fact that acquisition and fielding timelines are not keeping pace with technology trajectories that evolve a new generation every 18 to 24 months. A recent Institute for Defense Analyses report on Acquisition Timelines noted that the expected development cycle for a new technology on average is “8 to 14 years — even if you do everything correctly” and that it takes an average of either years from a stated operational requirement to achieve Initial Operational Capability (IOC), while Full Operational Capability (FOC) can take decades. 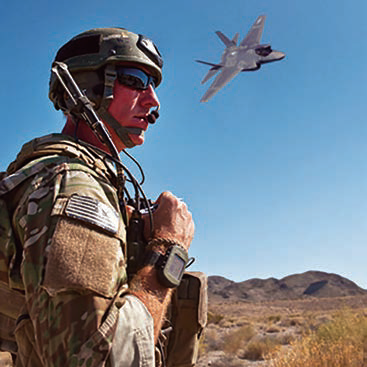 Viasat starts by collaborating closely with warfighters deployed around the globe to clearly understand the “problem to be solved” in customer terms, such as improved mission effectiveness and warfighter safety. New operational capabilities are then developed and deployed that leverage cutting-edge technologies in innovative ways. Unconventional U.S. Department of Defense (DoD) procurement processes are often used to develop and deliver these turnkey operational capabilities that address the real-world problems warfighters face on the ground, in the air, and at sea. In short, the company helps warfighters find a better way to perform critical missions and their needs are answered quickly and effectively. 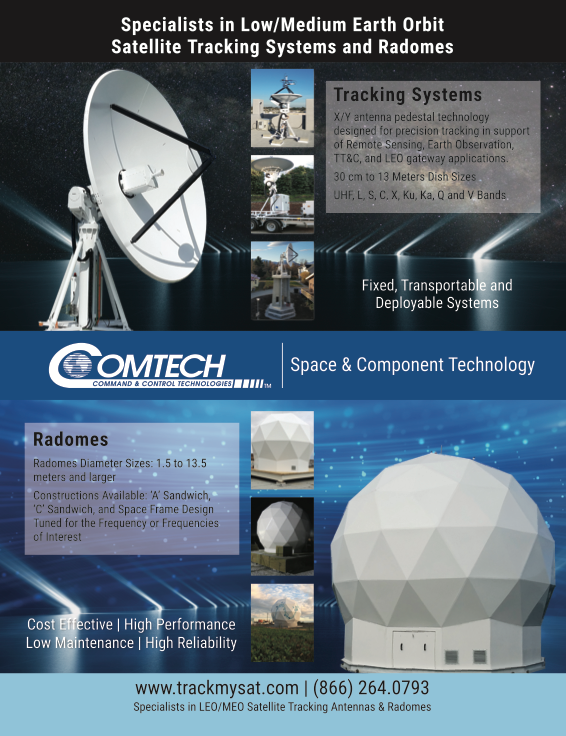 Oftentimes, innovative business models — such as “SATCOM-as-a-Service” — are employed that bundle traditional satellite communications (SATCOM) services with valuable companion capabilities like automated network management, terminal prioritization and active cyber defense. This is important, as the warfighter is enabled to acquire an integrated SATCOM service that assures capacity, performance and quality of service in benign — as well as contested — environments. It’s an axiom of business that listening to customers is the best way to truly understand what they really need. Clarity on the customer “problem to be solved” allows forward-thinking businesses to deliver focused and innovative capabilities that empower the end-user with genuine solutions to their hardest problems. While the company’s year-over-year revenue growth is gratifying and rewarding, what Viasat is most proud of is being part of a team that’s rapidly innovating, pushing traditional boundaries and delivering constantly improving operational capabilities and cutting edge technology solutions to our customers in uniform. 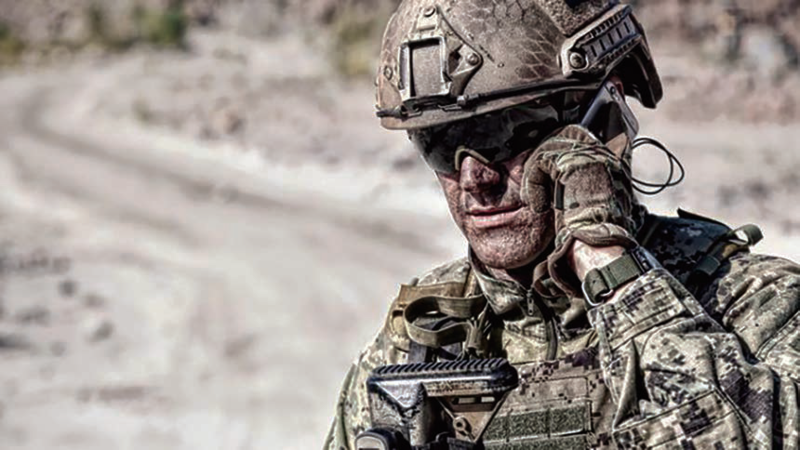 Additionally, today’s mobile phones often offer more advanced technology than some of the communications equipment soldiers have in the field. Viasat it trying to change that fact with a faster way of turning needs into reality. In the world of defense, acquisition policy has become bogged down with a myriad of bureaucratic processes — what used to be called “red tape.” Such bureaucracy tends to fragment operational capabilities into programmatic and technology silos that deliver the interdependent components of operational capabilities in an unsynchronized manner, resulting in lengthy delays from a warfighter perspective. The frequent result is that it takes far too many years to deliver a much-needed operational capability — eventually solving yesterday’s problem instead of today’s issue and creating critical capability gaps that put our warfighters at an unfortunate disadvantage. Evidence of this is the fact that the typical DoD development program takes many years to reach IOC/FOC — even if everything is done correctly. These long timelines and the lack of synchronization among mutually dependent capabilities are genuinely alarming. Meanwhile, private sector commercial technology trajectories are advancing at unprecedented rates. The stark contrast between DoD development timelines and commercial timelines means the warfighter is left at a technology disadvantage. The defense acquisition process is simply not keeping up and, as a result, the warfighter suffers. Today’s national security threats are largely being enabled by some of these same rapid technology advancements, which are transforming threat envelopes and accelerating threat vectors at an increasingly alarming pace. Leaders within the DoD recognize that this challenge must be met by exploiting these same commercial technology trajectories to quicken the DoD innovation cycle. Taking advantage of commercial technologies and private-sector investment will enable the DoD to maintain technology superiority by deploying advanced operational capabilities across the battlespace. At Viasat, the senior leaders agree and are rallying to meet this challenge. The company collaborates with DoD and allied partners around the globe to leverage proven agile development techniques to bring the latest technology solutions to the warfighter in efficient ways. That means focusing on building greater intimacy with the customer, the end-users of battlespace technology, such that their most challenging problems are understood and solved. Through a thorough understanding of a customer’s most urgent needs, cutting-edge technologies can be proactively applied to create innovative solutions that provide warfighters with new and truly remarkable operational capabilities. 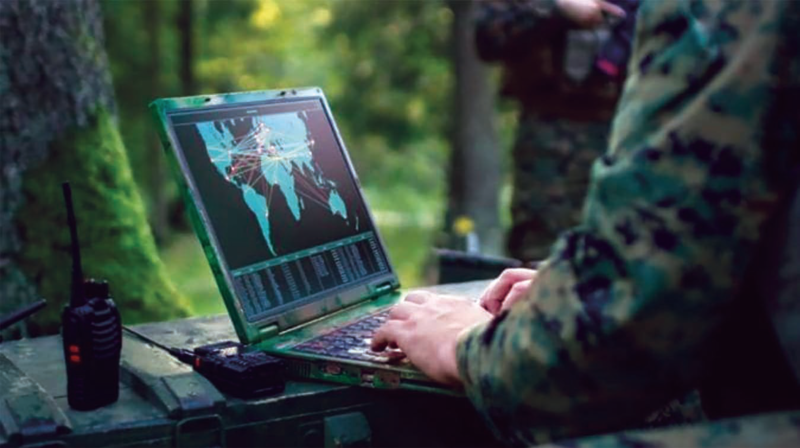 The company continuously evolves these capabilities over time to ensure the warfighter is never left behind on today’s technology-driven battlespace. An example is Viasat’s work on the AN/PRC-161 Handheld Link 16 radio. In just 17 months, the company took the concept for this radio from the back of a napkin to successful operational assessment of a revolutionary operational capability. Today, the AN/PRC-161 radio is being used in the field to drastically improve close air support — significantly improving situational awareness, reducing the chance of friendly-fire incidents, accelerating targeting timelines, and improving mission effectiveness. This is only one example of Viasat’s ability to rapidly transform innovative ideas and cutting-edge technologies into warfighter solutions in months, rather than years. While the company has completed this rapid development in the tactical data links market segment with the AN/PRC-161 Handheld Link 16 radio, as well as the KOR-24A Small Tactical Terminal (STT), this has also been accomplish in the satellite communications market segment with Viasat’s Global Mobile Antenna (GMA) 5560-101 KuKarray multi-mode, multi-band antenna as well as the AN/TSC-241 Multi-Mission Satcom Terminal (MMT). This same agile development process in the cybersecurity and information assurance market segment resulted in the world’s first 100 GB encryption products. The company’s passion is developing technologies that address customers’ most difficult problems and rapidly creating new and innovative operational capabilities that address their quickly evolving mission needs. The firm’s position as an industry leader is based on groundbreaking technology developed by teams of engineers that are empowered to push beyond traditional limits to find a better way to solve challenges — that includes anti-jam, high-capacity satellite communications; tactical mobile networking and Link 16 data links; information assurance and cybersecurity solutions; ground/air situational awareness; and intelligence, surveillance and reconnaissance services. Incumbent upon the industry is to give America’s warfighters the best tools and technology available to keep them safe. That means providing them with ubiquitous, assured broadband connectivity and cloud-based battlespace situational awareness to help provide access to cognitive decision aids and artificial intelligence. This also means enabling them to employ machine learning to carry out new missions, even in the most difficult of environments. 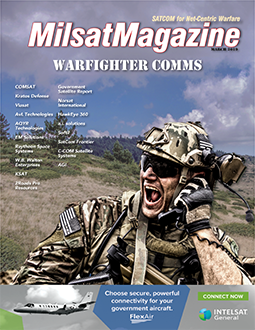 Today, the Viasat team is working with customers to deliver these new lifesaving capabilities such as A.I., machine learning and assured, secure cloud connectivity to today’s warfighter, and the company is looking forward to pushing the boundaries to enable “what’s next” future connectivity solutions. Ken Peterman joined Viasat in April 2013 as Vice President, Government Systems. In June 2014, he was appointed Senior Vice President, Government Systems, and in May 2017, he became the President, Government Systems. 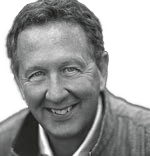 Ken has more than 30 years of experience in general management, systems engineering, strategic planning, portfolio management, and business leadership in the aerospace and defense industries. From July 2012 to April 2013, Ken served as President and Chief Executive Officer of SpyGlass Group, a company he co-founded which provides executive strategic advisory services to the aerospace and defense industries. From 2011 to July 2012, Ken served as President of Exelis Communications and Force Protection Systems, and from 2007 to 2011, he served as President of ITT Communications Systems and he also sserved as Vice President and General Manager of Rockwell Collins Government System’s Integrated C3 Systems and the Displays and Awareness Systems.